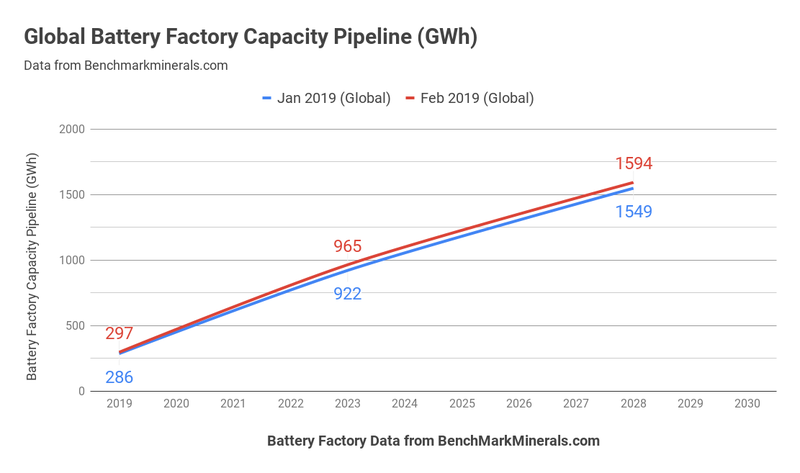 Global lithium-ion battery planned capacity grows 4% in a single month – charts! Home https://server7.kproxy.com/servlet/redirect.srv/sruj/smyrwpoii/p2/ Business https://server7.kproxy.com/servlet/redirect.srv/sruj/smyrwpoii/p2/ Global lithium-ion battery planned capacity grows 4% in a single month – charts! 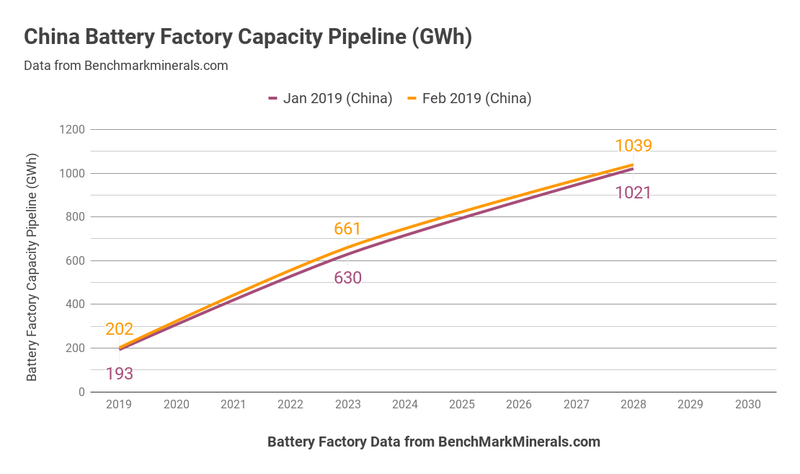 Another month passes, another 43 GWh battery factory capacity is brought into the production pipeline for production by 2023 and adds over 4% to global total over a single month (50% annual growth). Planned annual production by 2023 will soon exceed 1,000 GWh capacity, with over two-thirds of that in China. Supplying an annual output of over 13 million electric motors in China alone is enough. Keep month-by-month score for total additional plans announced, February & nbsp; Lithium Ion Megafactory Assessment from Benchmark Minerals records significant increases in the pipeline for battery production capacity. The planned annual production capacity that was brought online in 2023 increased from January to 922 GWh to 964 GWh at the end of February. It is more than 4% additional scheduled capacity arriving within a single month. At this rate, the planned production capacity of 2023 is likely to exceed 1,000 GWh in the next few months. This is equivalent to meeting the annual production needs of 20 million electric cars with an average battery size of 50 kWh each. Multiple Battery Messages Gigafactories Don't Stop There. We have recently seen that the timeline from initial planning of a large-scale production production facility can be remarkably short, with Teslas Shanghai Gigafactory moving from preliminary announcement (mid-2018) to site verification (end of 2018) to initial production (scheduled for Q3 2019) in about a year. Although battery cells (and packages) are not made on site this year, they will be in the longer term. 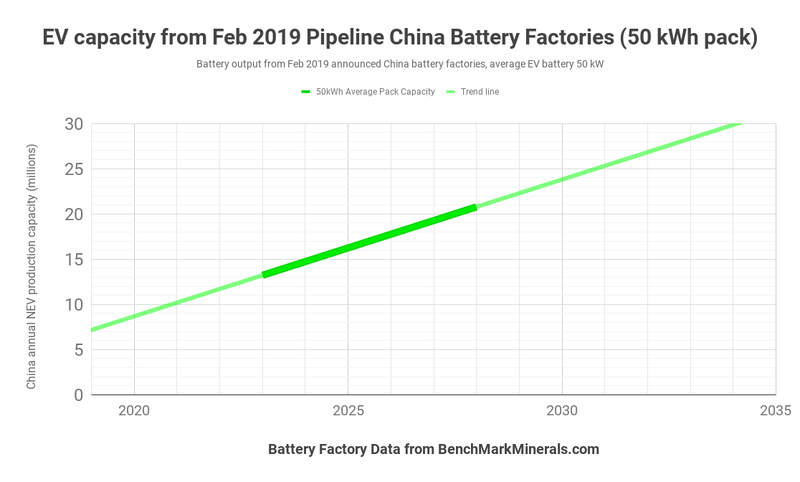 The point is that with a possible timeline as low as 2-3 years to go from planning to potential cellular output, more production capacity in the batteries can still be generated online for release in 2022 or 2023, especially in China. Middle Kingdom front-enders CATL and BYD join forces with Tesla to know how to quickly roll out battery factory facilities, and there are a large number of smaller players jumping into the battery's production room. As we stand today, the planned battery capacity in China allow an annual output of over 13 million EVs by 2023, 16.5 million in 2025 and 21 million in 2028. As mentioned above, it is almost inevitable that the planned capacity will increase further between now and these dates, not only in China, but globally. Benchmark Mineral Intelligence has very extensive regular monthly global assessments (battery capacity, lithium supply and pricing, and many other important areas in the battery industry), of great value to any company operating in that area. They are kind enough to allow me to print copies of their reports so I can share their headline results with our readers. Will we see the 1,000 GWh scheduled global capacity 2023 milestone crossover before the summer? Jump in and let us know in the comments.